What Can Home Healthcare Provide? How much do you know about inserting, removing, and caring for a catheter? Unless you’re a trained medical professional, odds are slim that you know much, if anything about it. Unfortunately, illnesses and other health concerns, both short- and long-term, make information like this necessary. For many of us, however, the medical training necessary to care for a special needs child or an elderly parent is beyond our ken. This is where home healthcare providers step in! This subset of home healthcare services encompasses the majority of what most of you think when home healthcare comes to mind. Skilled nursing services are the medical services needed for both short-term (acute) and long-term care. These include things like insulin set up, catheter care, trach/vent care, and G/J tube care and feeding. If your child, parent, or loved one has an ongoing health issue that calls for injections, IVs, or other medical equipment, you will likely need a highly-trained medical professional to handle this for you. These are generally the sorts of services provided by a doctor or nurse when at the hospital. 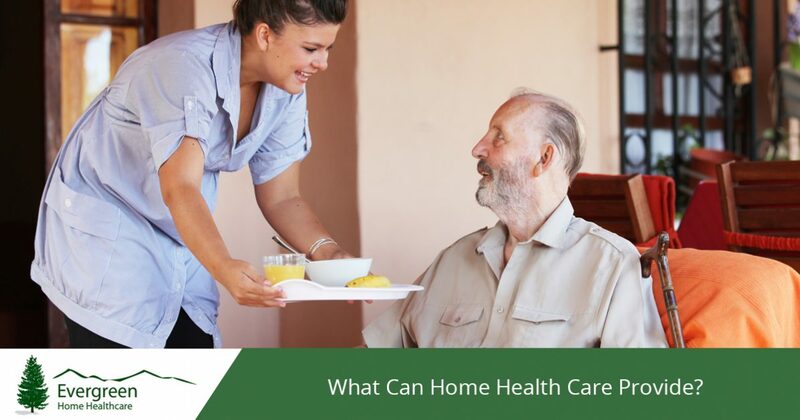 As much as possible, particularly for long-term care, receiving care at home is more comfortable for the patient; however, they require more assistance than many have the skill and training to offer. This is where the RNs and LPNs on Evergreen Home Healthcare’s team step in. Our nurses can come to your home to provide medical care for a couple of hours at regular intervals on a long-term basis or can offer 24 hour assistance when it is called for. In addition to skilled nursing services, another subset of home healthcare is therapy. 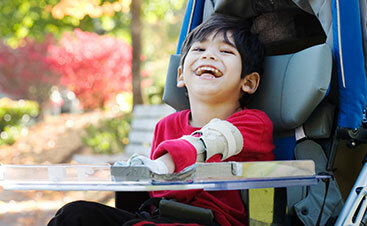 This includes a wide range of different therapy options from muscle building and long-term rehabilitation to occupational therapy and speech therapy for both children and adults who need it. In-home therapy can include core strengthening, muscle building, and ambulation exercises after your elderly parent undergoes a knee or hip surgery. But therapy isn’t restricted to the physical variety; it can also include improving fine motor skills, working on speech functions, or other speech and occupational therapy for a special needs child. With some rehabilitation needs, performing them at home is the best option for those who have very limited mobility. 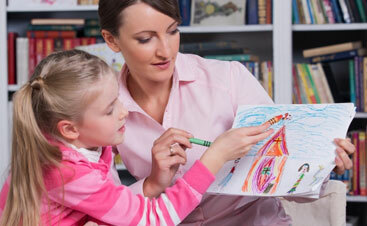 However, at home therapy services aren’t restricted to the homebound. Often, speech and occupational therapy can be more effective when performed in the home where a child feels more comfortable and is more receptive to learning new things. This third subset of home healthcare services are those most often performed by a Certified Nursing Assistant (CNA), and generally fall into the realm of long-term care. This includes a variety of more personal assistance for those who are bed- or homebound. 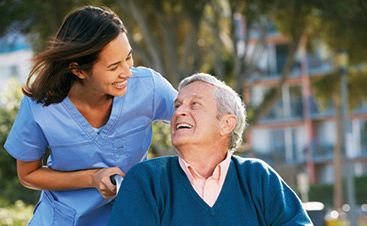 If you have a loved one who has limited mobility, a CNA from Evergreen Home Healthcare can come to your home and help you provide bathing and personal hygiene assistance, hair dressing, and oral care for a loved one who cannot take care of those things themselves. In addition, CNAs can provide in-home vital sign monitoring, catheter/ostomy care, and medication reminders. Our skilled and compassionate CNAs provide a high level of care to ensure the quality of life does not diminish even with limited motor function or mobility. Do all the above options sound overwhelming? You aren’t alone. Long-term medical care comes with a wealth of new knowledge, routines, and necessary details. To help you handle all of this and help your loved one receive the medical and therapeutic attention they need, Evergreen Home Healthcare can offer the assistance of a licensed clinical social worker. This way, you can get the help and knowledge you need for everything from long-term medical care planning and financial planning to social and emotional assessments and community resource education. No matter what your home healthcare needs, the team at Evergreen Home Healthcare is here to help. Contact us today to learn more about our home care services, from pediatric occupational therapy to long-term planning, and more. Let the healthcare experts at Evergreen Home Healthcare help your loved one receive the attention they need from the comfort of your Fort Collins home today!